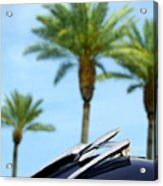 Queen duvet cover (88" x 88") featuring the image "1950 Oldsmobile Rocket 88 Convertible Hood Ornament And Palms" by Jill Reger. Our soft microfiber duvet covers are hand sewn and include a hidden zipper for easy washing and assembly. Your selected image is printed on the top surface with a soft white surface underneath. All duvet covers are machine washable with cold water and a mild detergent. 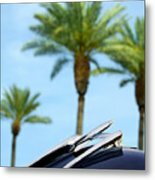 There are no comments for 1950 Oldsmobile Rocket 88 Convertible Hood Ornament And Palms. Click here to post the first comment. 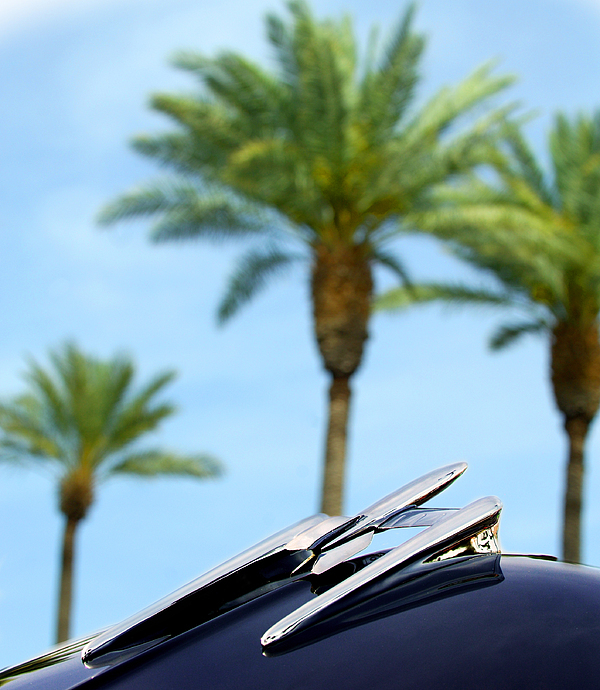 I photographed this 1950 Oldsmobile Rocket 88 for a piece of art for its owner. 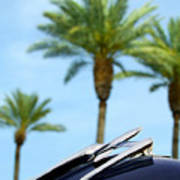 It was shot at a cruise-in in Phoenix, Arizona. Occasionally, having the hood up makes for a great photo.